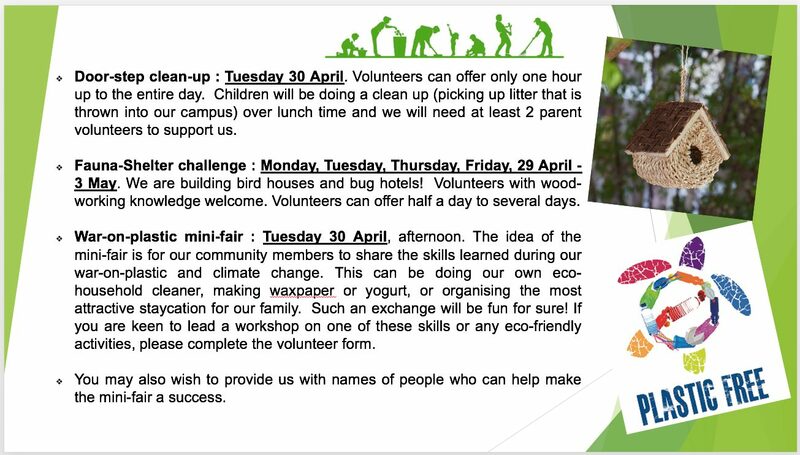 Earth Week Preparation : Calling for Volunteers! As you know we had some very important visitors last week from IB and CIS. I am very proud to report that the visit went extremely well. They were very complimentary and talked about the school having a lovely “feel” and described it as “glowing”. The IB Chair informed the staff that our self study documentation, which took us 18 moths to prepare, was the most detailed she had ever seen. She has done over 30 visits in the past 10 years. The other IB visitor described the visit as “inspirational”. We did not get specific feedback re commendations and recommendations from the IB team but the chair did comment that it was a credit to the school that many of the recommendations from the visit 5 years ago are now going to be commendations. 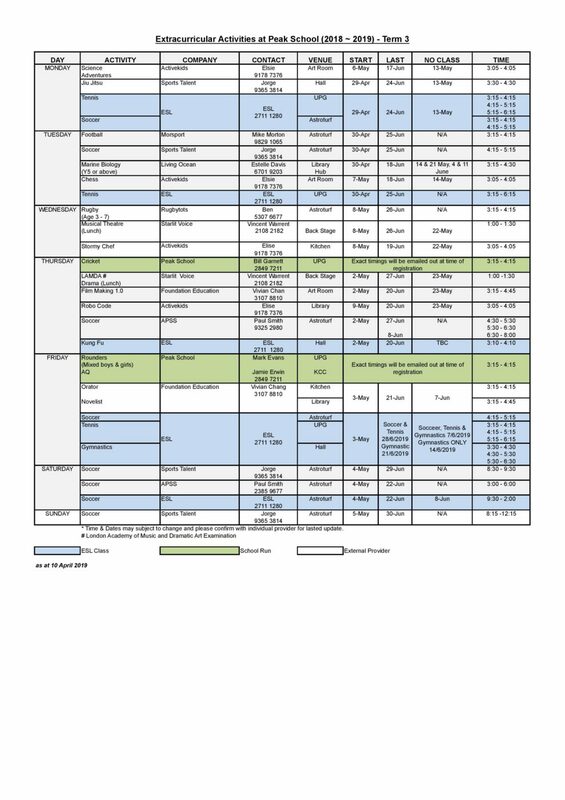 Major recommendations revolved around our child protection work related to ensuring our parents are educated around this issue and that they are aware of what we do as a school in this area, ensuring the school staff and visitors are all wearing ID (currently our staff do not) and finally ensuring our children are safe hopping on and off the buses both before and after school. These are very easy fixes and I know for a fact other ESF schools, who do not educate their parents around child protection, did not get this as a recommendation let alone as a major recommendation. This would suggest they had to look very hard to find any major recommendations for the school. Both IB and CIS were extremely impressed with our children, the high level of engagement and the learning that was taking place. As a staff we were just relieved that they recognised Peak School as a special place to learn and could see how we are all life long learners. 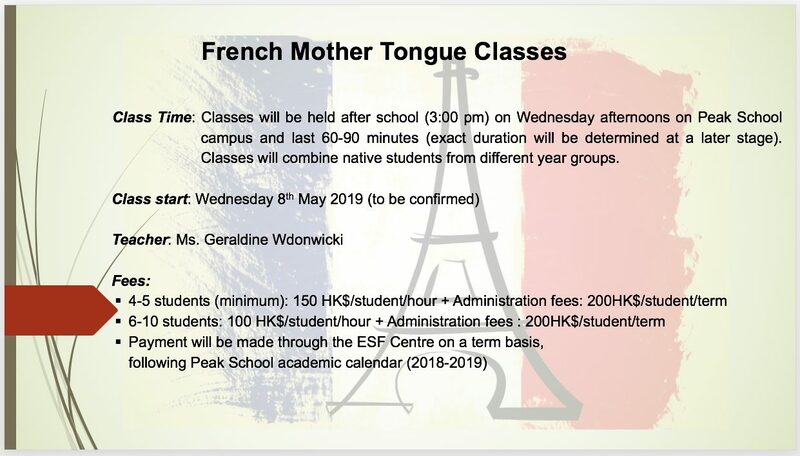 We are pleased to inform you that, in collaboration with the ESF Centre, we are currently exploring the possibility to offer French mother tongue classes for native students of Years 1-6. 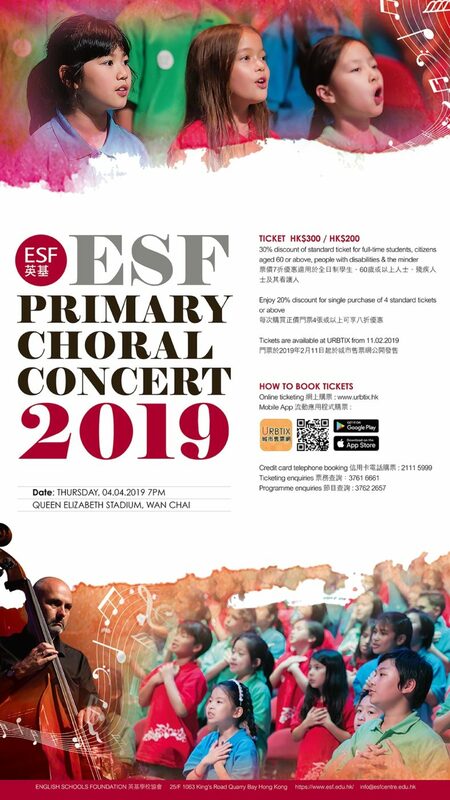 We would be grateful if you could confirm your interest by replying to Mr. Benoit Bardin: benoit.bardin@esfcentre.edu.hk by Monday 8th April. 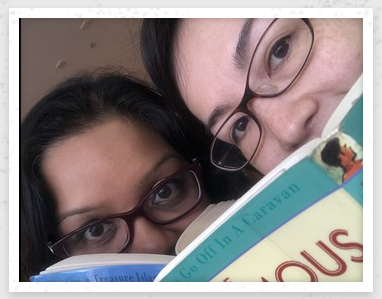 Our newsletter this fortnight includes details of all the events and activities planned for and around our Book Day on 11th April 2019. Be sure to read it to stay up to date on all that will be happening. 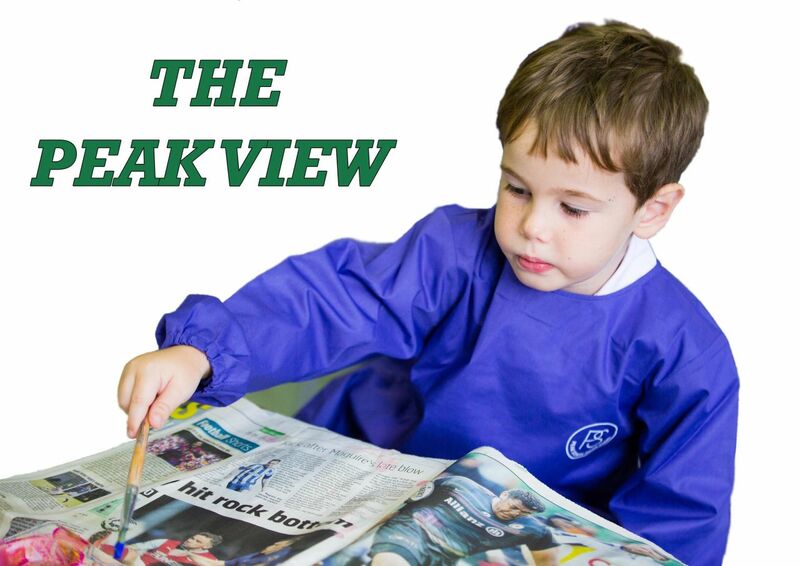 Peak School will celebrate Earth Week 2019 from Monday, 29 April – 2 May. We are hoping to have several hands-on activities for the children as well as parents, helpers and families. All actions are related to the well-being of our school campus but easily replicable outside if we feel like. A good Earth starts at home! 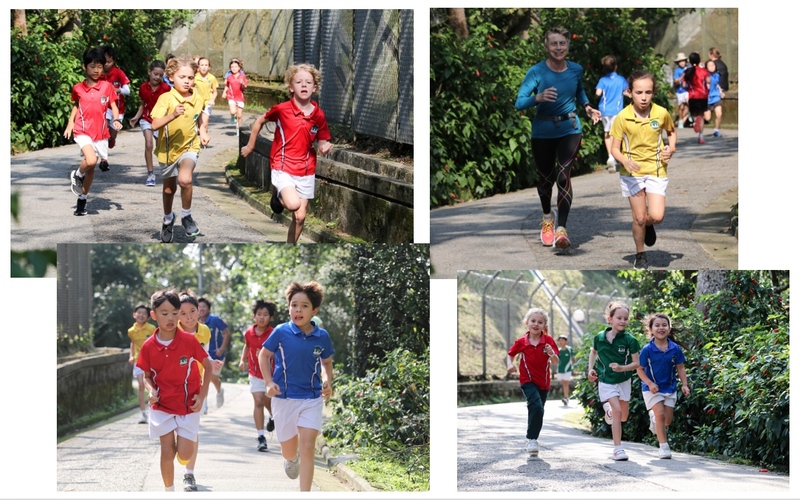 Pace, pace, pace, our mantra for the Running Club. But not only did the runners keep a steady pace but week on week that pace got faster and faster. Students were running longer and longer every few sessions! After two and a half months of running the team accumulated 3,586 km, a distance further than Hong Kong to Bali. Every single member ran more than 21km with 19 running 30 km, 28 running 42 km and another 28 running over 50 km. All the members of the team should be congratulated for their dedication and hard work in training and also in their races through out the season. The runners would like to thank all the staff and parents that came out to encourage, run and keep score for them each week. It was a real team effort. Peak School came prepared! They had done their homework, worked hard all season both individually and as a team and were excited to be part of the 16 team tournament. 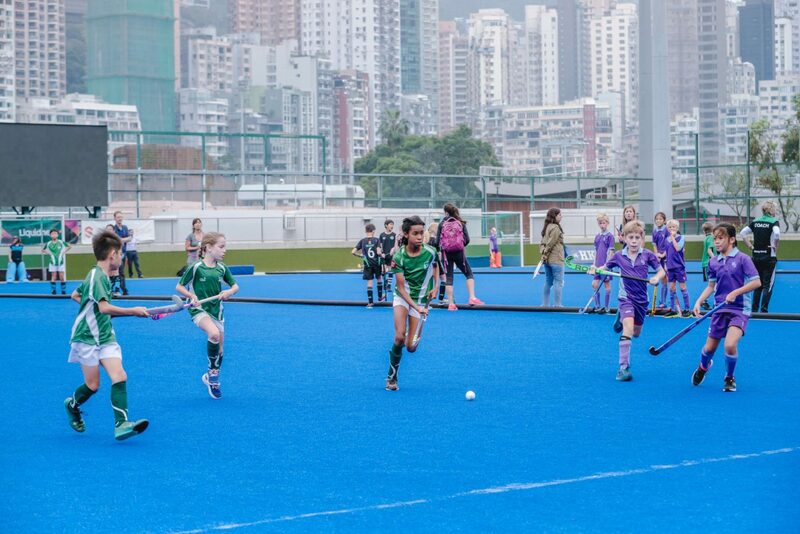 The team started very well sweeping their pool without conceding a single goal (2 – 0 against Kennedy ‘B’, 4 – 0 against Glenealy ‘A’ and 2-0 against GSIS ‘C’). They then progressed to the quarter finals where they defeated International College HK 3 – 0. This led to an extremely exciting semifinals game against GSIS “A”. Both teams displayed excellent team work and individual skill with scoring chances at both ends. However in the end Peak lost 2-0. Though disappointed the team quickly readied themselves for the Cup play off for 3rd and 4th against GSIS ‘B’. Down by two goals the Peak rallied back to tie the game but lost on a last second goal. 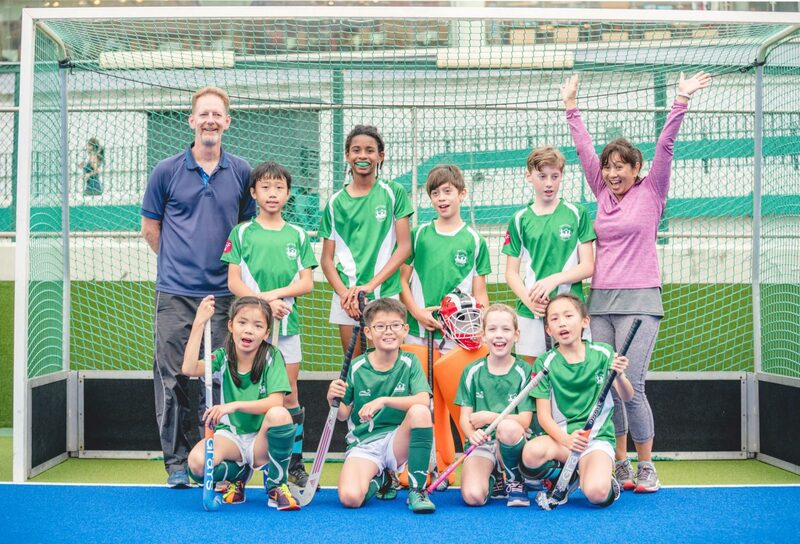 Congratulations to the following players for an outstanding season Nicholas Chan, Esther Cook, Harry Hattam, Adrian Lau, Kaylee Ng, Finn Ramachandran, Shina Tamaki and Sophie Aranha. The team would like to thank all the parents for coming and cheering on the team and especially Mr. Tamaki for being our ‘official’ photographer and Mrs. Erwin for helping to train and coach the team every Friday and at the tournaments. It is still Influenza season and we are finding children are returning to school too quickly when ill, therefore putting themselves and others at risk. Symptoms of Influenza: Fever (<37.5), chills, muscle aches, headache, cough and runny nose. Children with a combination of these symptoms should stay at home until they are well enough to return and fever free for 48 hours without the use of anti-pyretics. Influenza is highly contagious and can spread when a child inhales infected droplets in the air which have been coughed or sneezed by the infected person. We politely request parents check to their children’s hair carefully to ensure there is no infestation. If you do find either lice or their eggs please do not send your child into school until the condition has been treated. This will help us immensely in ensuring the Head lice are not allowed to spread to other students. 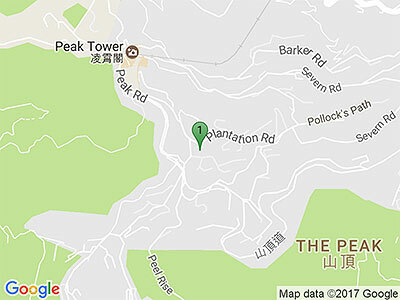 Please see the medical page on the Peak school website for treatment advice. Minimize headto head contact where possible. Treat straight away if your child has become infested with Head furthermore there are natural preventative sprays available in some health stores. We have a number of children signed up for the Chinese Talent Show this year. The competition items they will be participating in are ranging from singing a Chinese song, hard pen calligraphy, Pinyin to character conversion, to storytelling and poem reciting. We are very proud of you children, for your courage to take a step out in your learning journey by presenting your language skills in public events! The Chinese teachers have started practising with the children on Tuesday lunch break. You are fully supported, children!